Classes stress strict authentic training in all fundamental techniques and traditional ballet movements. This discipline is the base on which all other techniques are built. Grace, poise, body alignment and self-discipline are incorporated in this professionally oriented class. This class is offered to serious students enrolled in at least one ballet class per week and is considered strong enough for the technique. Modern steps and movements are taught in a serious yet enjoyable atmosphere. Creativity and self-expression are the goals of this discipline. Flexibility and finesse are the building blocks of Jazz and they are blended with an accent on performance. Fun and rhythm oriented. Footwork as well as upper-body technique are emphasized in this class. Students learn to make tap sounds to upbeat music. For the latest style of dance including skills seen on music videos, this course is the popular choice among older students. It builds strength and endurance while being social and fun. This class is designed to help students express their individual feelings and emotions. 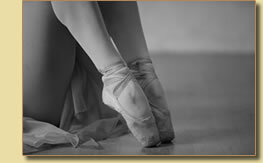 Encompassing all dance forms with a strong emphasis of ballet, students interpret the words and music through movement. This class introduces an expressive form of dance. It is unconventional using such techniques of fall and recovery, and levels of movement. In this class, students are taught to use the body as an instrument to express emotions. Class consists of ballet and tap (Kinder dance only) class concentrating on rhythm, coordination and discipline while having fun! 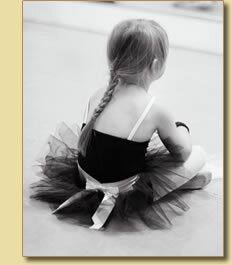 this class is for our youngest dancers, starting at age 15 months -30 months. Introducing children to basic movement at an early age improves coordination and stimulates creativity and imagination. A fun filled class of dance and great exercise. The class will combine ballet, tap, jazz, lyrical and hip hop switching every couple weeks.